Just a quick note so you all know I’m hosting tonight’s #cfbloggers chat on Twitter from 9-10pm UK time. If you don’t already follow me, check out my feed (@harmlesslife) for the details or go to @cfbloggerschat. 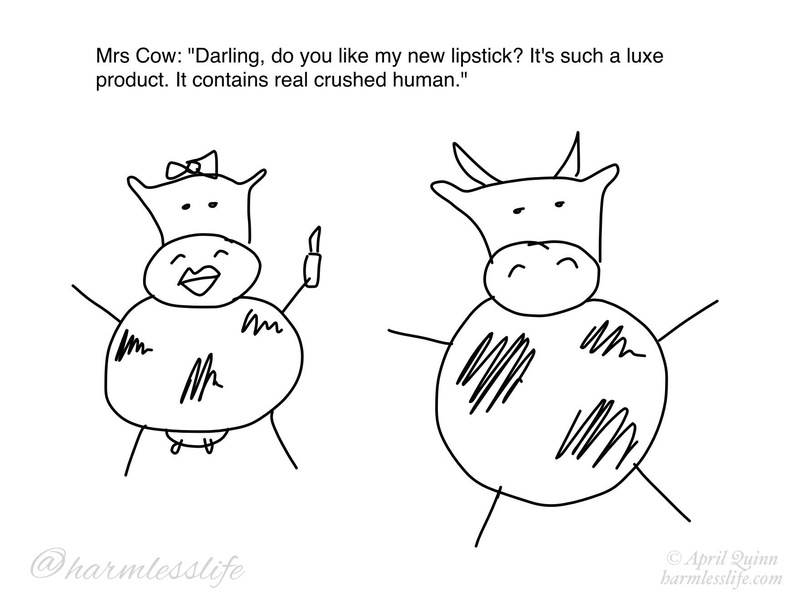 I’m planning to discuss vegan and cruelty-free beauty ingredients. It will probably over-run so if you’re late, don’t worry, just head to my feed @harmlesslife to see if it’s still going. I’d love to see some friendly faces that I recognise there! Everyone is welcome, not just bloggers and vegans. Hoping to get back to blogging more regularly shortly. I love the picture, it’s really funny! It looks really good, I missed the live twitter unfortunately but I hope it went well!